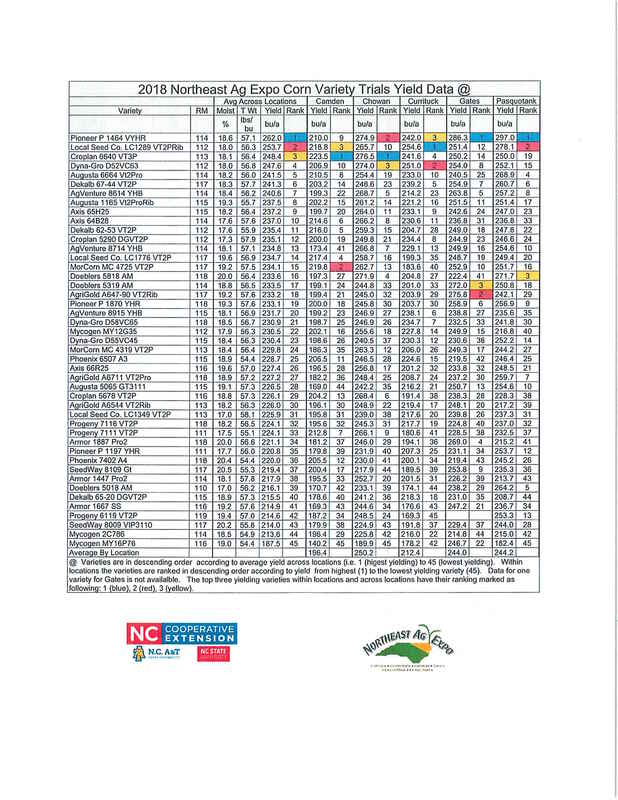 Please find the results from the 2018 Northeast Ag Expo corn variety trials conducted in Camden, Chowan, Currituck, Gates, and Pasquotank Counties below. 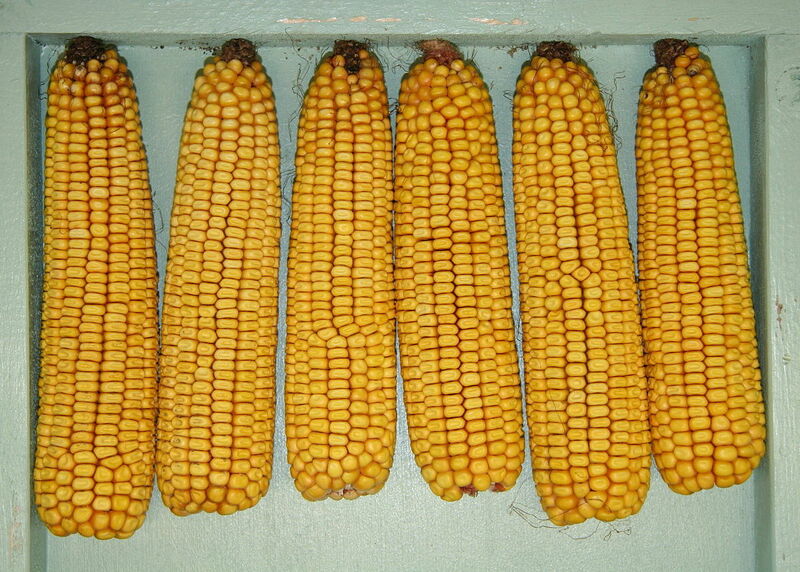 Hybrids are listed according to their average yield across locations, ranking from highest to lowest. Production information and a graph of average yields are included as well. Without the cooperation of growers and agri-business support, we would not be able to provide this locally generated information to the region’s growers. I would like to especially thank Black Gold Farms of Camden for providing the land and other resources necessary for the Camden County location. • 2018 Corn Variety Trial Data Is In!